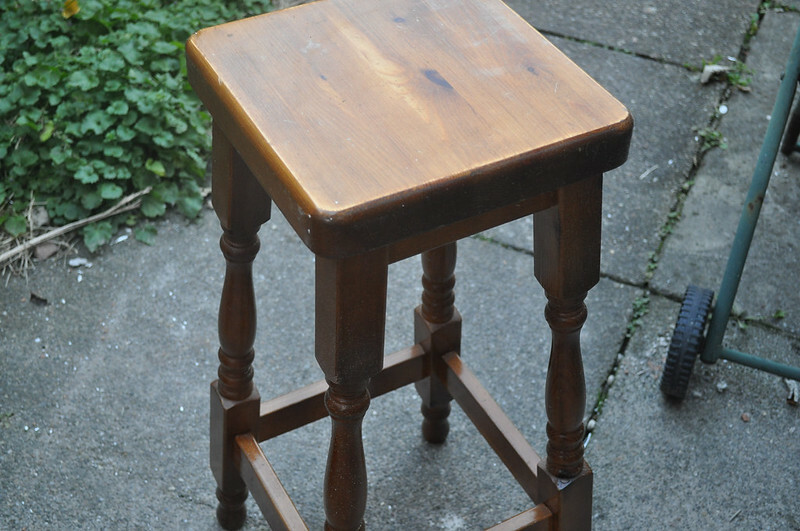 This stool has been in our dining room for as long as I can remember. Last year my mum finally decided she didn't want it anymore. Yes it's a bit battered and scratched but I still love it so I kept it thinking I could use it in my room. 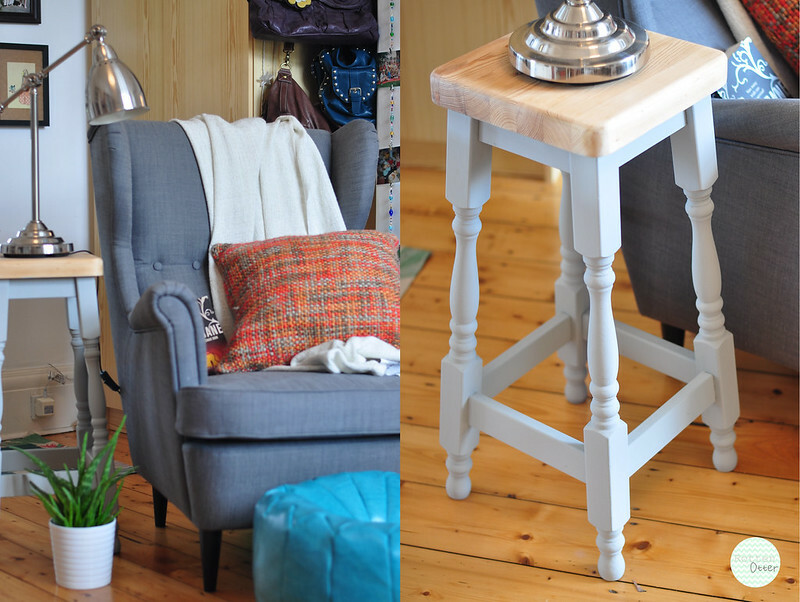 It's been a second bedside table, holding my bug radio while I decided what to do with it DIY wise. As soon as I saw this post by Victoria I knew what I wanted to do. Sand the top and paint the legs. 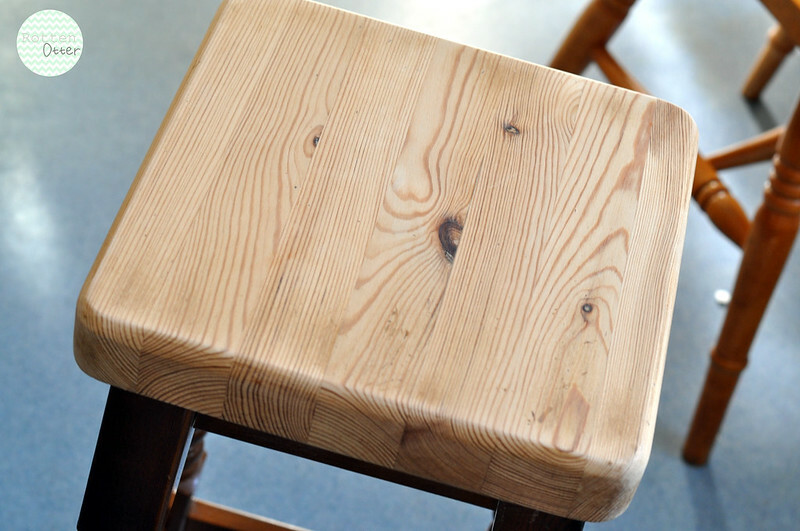 I just love the look of this and thought it suited the stool shape quite well. Plus it'll make a nice change in my room from all the white ikea furniture. 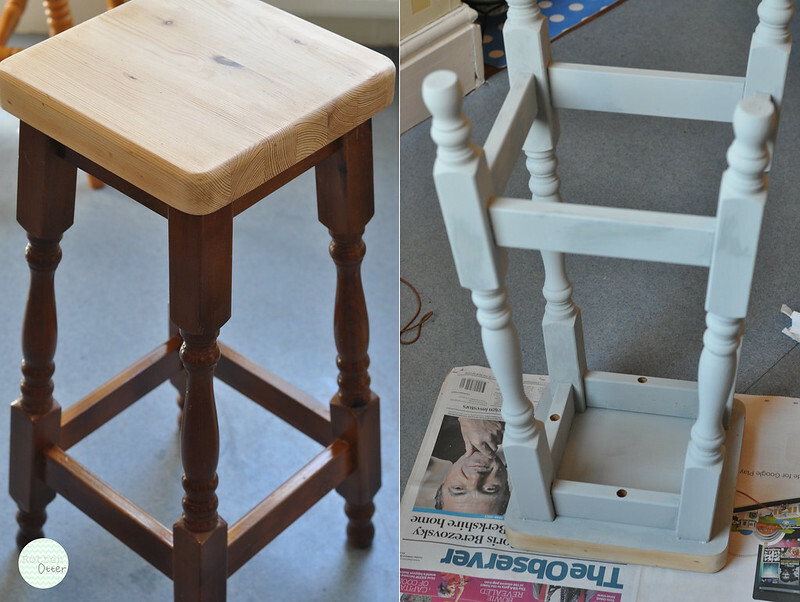 After a lot of sanding for only a tiny piece of wood and a coat of paint later it was finished! I used Annie Sloane Paris Grey and would definitely recommend it. 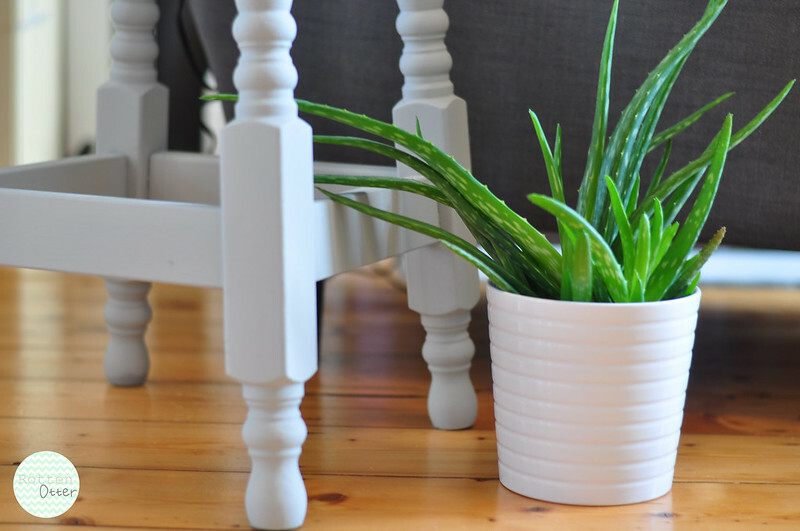 One of the reasons I chose this particular paint is that you can paint over varnished wood which makes the job easier and quicker. 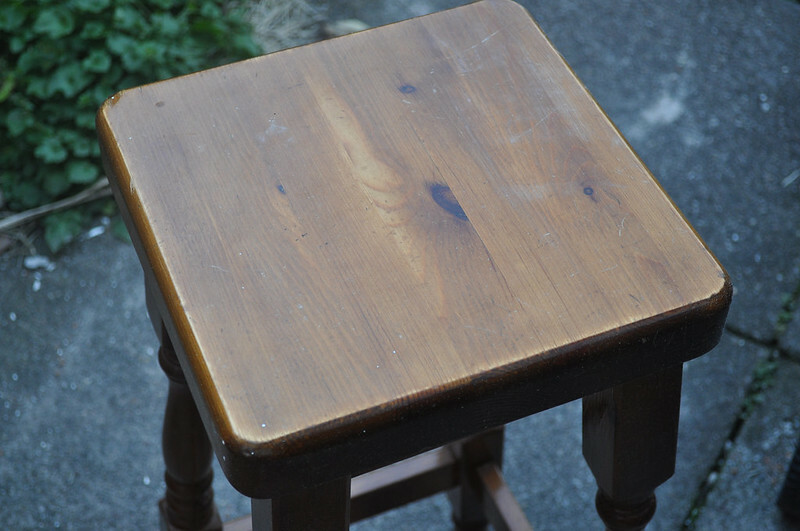 It also only needed one coat which I was pleased about. I absolutely love how it looks now and I'm so glad I decided to keep it. It fits in perfect with the little reading corner I've made in my bedroom. I've also used the same colour to paint some shelves and a mirror in my room which I'm sure I'll be posting about at some point. This looks so great! As if it is brand new again, lovely. this looks amazing! 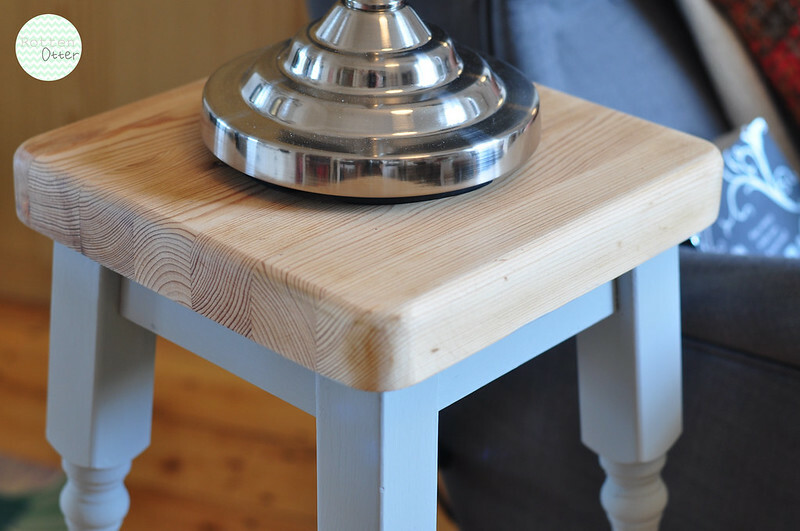 I am so inspired to do a stool I have had in my kitchen forever,it is round though so not sure if i have to sand right under the top- did you sand right under the top that is sticking out? it looks so so good well done!